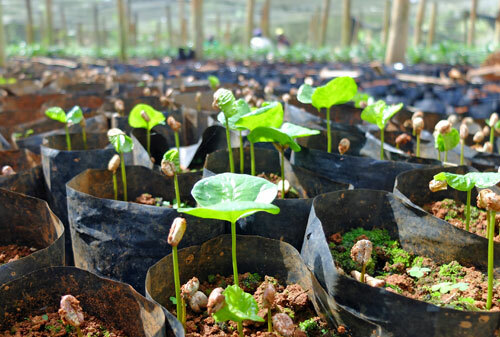 10 Photos that track coffee’s journey from the tree to your cup. 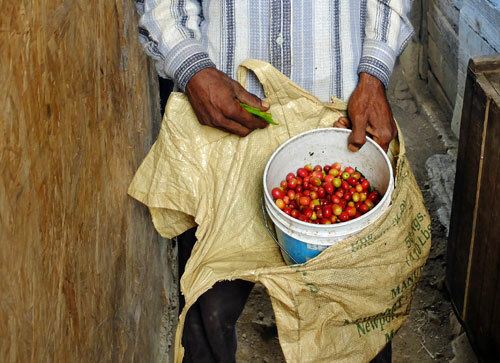 10 Photos that follow coffee's journey from the tree to your cup. When we drink our coffee in the morning, I don’t imagine many of us think about what it took to get the coffee from the tree to our cup. As you’ll see, it’s a long process and takes a great deal of work. 1. The coffee tree nursery. This is where seeds of the coffee trees are planted and the seedlings cared for until they are ready to be planted on the coffee farms. It will be about 5 years before the tree is mature enough to be harvested. 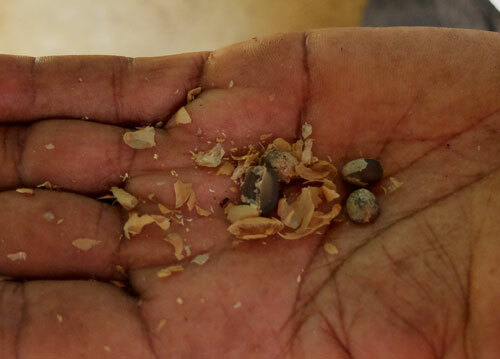 And yes, the seed is a coffee bean. 2. Coffee cherries on the tree. Each coffee tree yields only about one or two pounds of coffee a year. 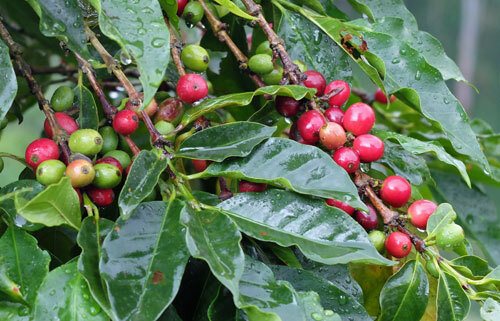 The coffee cherries go from green to red, when they are ready to be picked. Picking the cherries is labor-intensive, because not all the cherries ripen at the same time, so each tree has to be picked several times. And in some regions the coffee is grown on steep mountain slopes, making picking even harder. 4. Separating the beans from the cherry. This first step in the processing involves separating the pulp of the cherry from the two coffee seeds, or beans, inside. This is done by a machine that rubs the pulp from the beans. (Sometimes there is just one bean inside, which is called a “peaberry”). Once out of the cherry, the coffee bean has a high moisture content – about 45% - and needs to be dried before further processing. 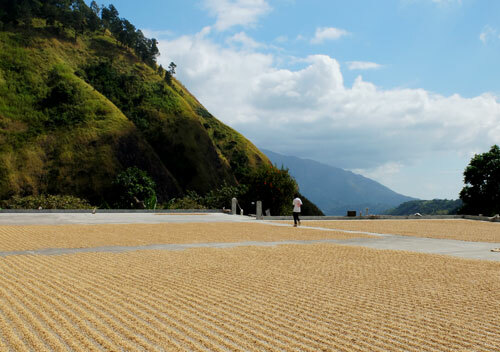 This involves laying the beans out on large terraces where the sun can dry them over the course of 5 to 8 days. 6. Separating the parchment from the beans. 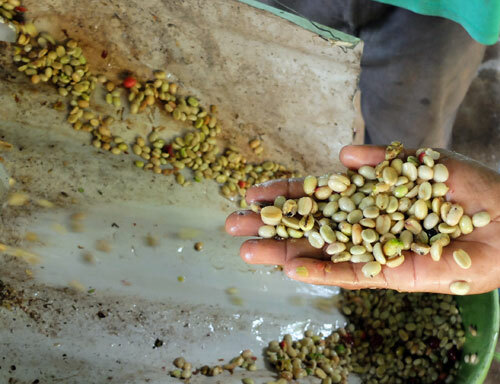 Once the coffee bean is dry – down to about 12% water - an outer skin or “parchment” has to be removed. This is done mechanically. Actually, there are two layers to remove, the outer parchment and an inner layer known as silverskin. Now you have a green coffee beans. The beans are graded, packed, stored and shipped. 7. Roasting the green beans. Once the sacks of green beans have made their long journey by boat, they are trucked to a coffee roaster. Some roasting facilities are huge, with roasting drums the size of school buses. 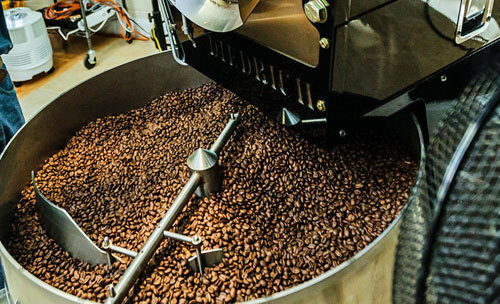 You’ll find small-batch roasters in your neighborhood, or even in your local coffee shop. 8. 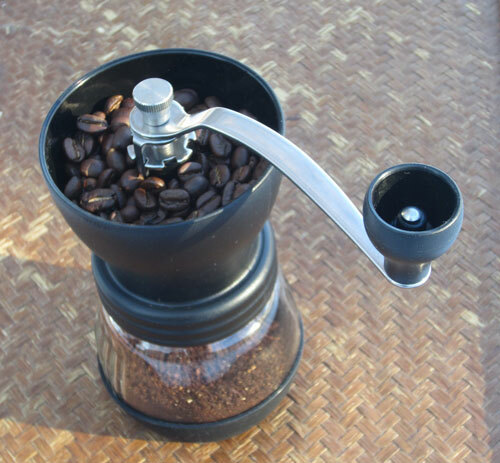 Grinding the roasted coffee beans. 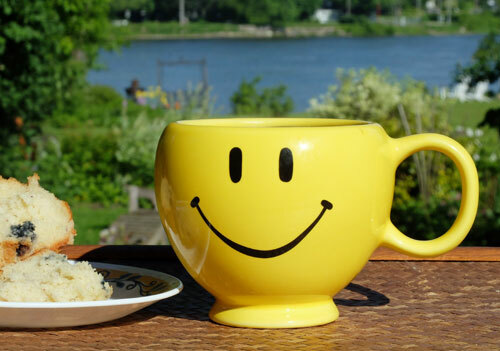 However you like your coffee – dark or light, with cream or without, with or without sugar - enjoy it and smile! And yes, a huge number of us enjoy our coffee. Worldwide, over 2.25 billion cups of coffee are consumed every day. 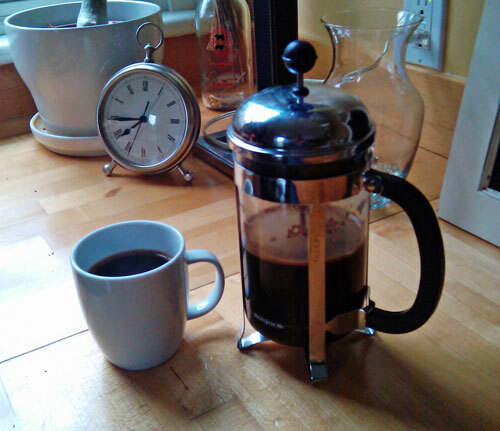 Some of our favorite coffee photos.